Fire crews continue to mop up the wildfires in Mason County. According to the latest update, firefighters are working inside the fires’ contaiment lines after hot spots were located by palm infrared last night. Crews will continue mop up operations into the evening. Firefighters will continue to locate hot spots throughout the night. 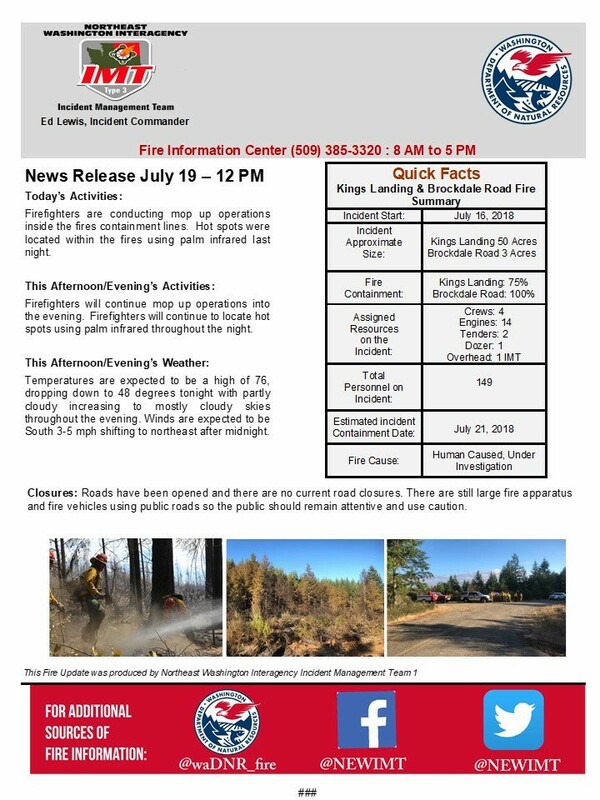 The Kings Landing fire (near Timberlakes) has burned approximately 50 acres and is 75% contained. The Brockdale Road fire remains at three acres in size and 100% contained. Full containment is estimated on Saturday. The fires are believed to be human cause and remain under investigation.